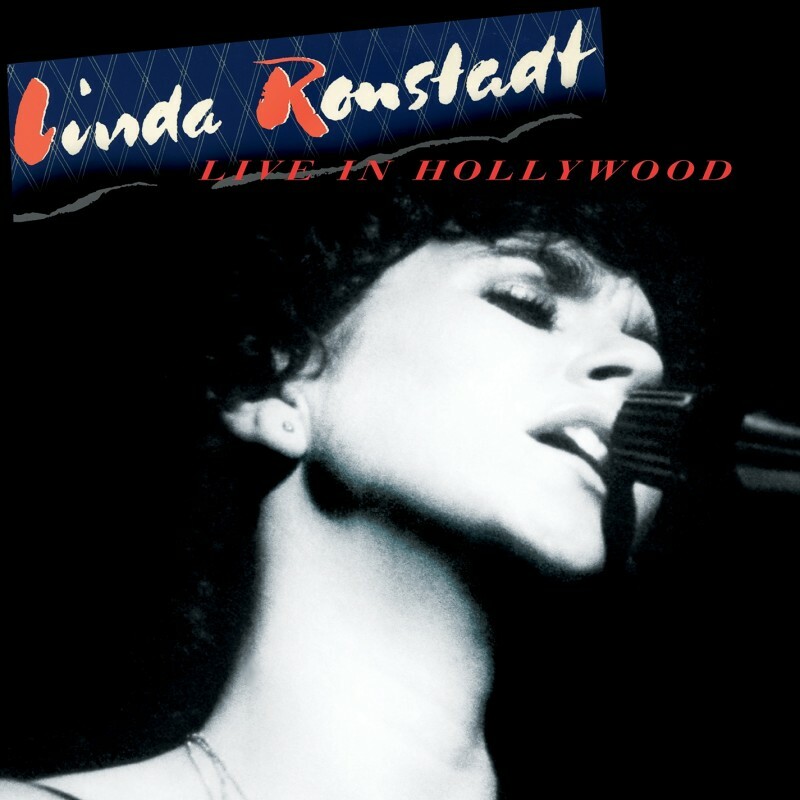 Linda Ronstadt’s Live in Hollywood features songs you know – or should know – as performed by the powerhouse singer at the Television Center Studios in Hollywood on April 24, 1980, for an HBO special. 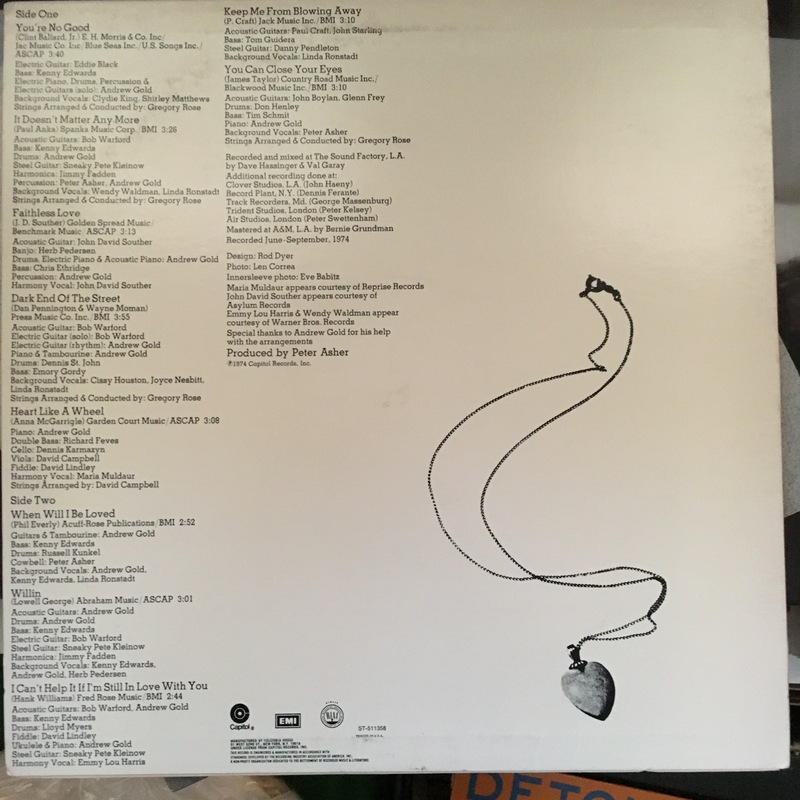 Three tracks appeared on the delightful 40th anniversary edition of Simple Dreams and, through the years, all have appeared on bootlegs sourced from the FM simulcast that accompanied the special’s broadcast. Eight of those songs are MIA from Live in Hollywood, which is the first official live album in Linda’s canon. Sometimes less is more. In this case? The subtractions shift the focus away from Mad Love, which was released two months prior, and turn the album into something akin to a live best-of. These are songs that, by and large, still get radio play. I heard four on my local oldies station this week, for example. That’s the legendary session player Danny “Kooch” Kortchmar on guitar, I should mention – and hiding behind drummer Russ Kunkel is Linda’s longtime compadre (and producer) Peter Asher on percussion and backing vocals. In short, Live in Hollywood is an impeccable representation of a singer at the peak of her powers. Definitely check it out. 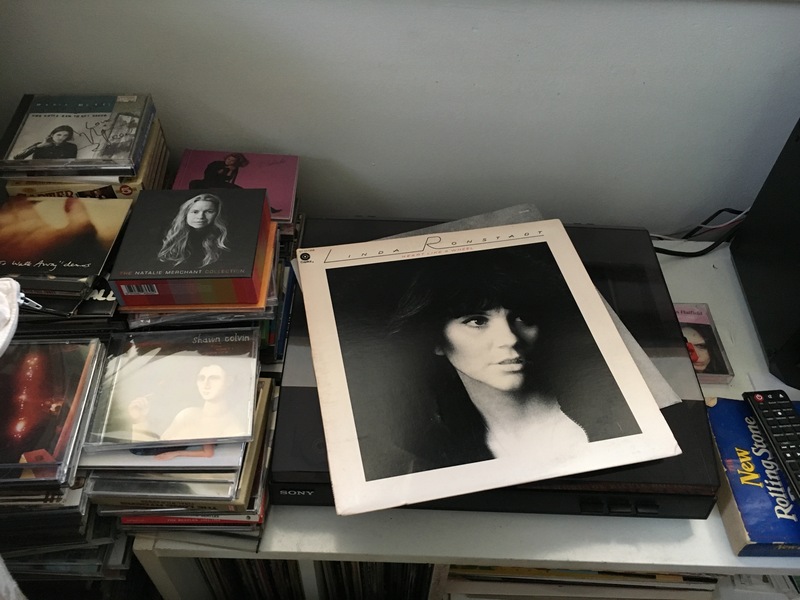 It’s an album so good that I’ve bought it multiple times – first on vinyl, then CD, then via the two-CD The Best of Linda Ronstadt: The Capitol Years, which actually contains her four Capitol albums in full (plus a handful of bonus tracks), then on high-resolution (24/192) and now, for a second time, vinyl – t hough this last time it was a Christmas gift from my wife, so perhaps I shouldn’t count it. In any event, it’s Linda’s greatest work. Now, I happen to like Linda’s earlier efforts. To my ears, they’re solid efforts accented by moments of sheer grace – her rendition of Jackson Browne’s “Rock Me on the Water,” from her eponymous third LP, is the best example. But Heart Like a Wheel is when she found her voice. She may not have written the songs, but she sure sounds – to me, at least – as if she’s lived them. The performances are letter-note perfect, passionate and dramatic, beginning with the album’s opening cut. And thus began a streak of LPs that helped define the 1970s, including such gems as Prisoner in Disguise, Hasten Down the Wind, Simple Dreams and Living in the USA. 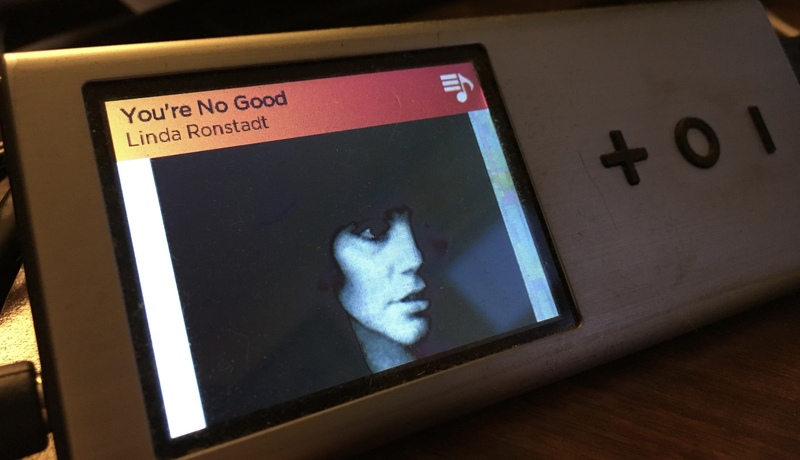 They all followed the pattern Asher and Ronstadt implemented so well on Heart – well-chosen oldies alongside songs from up-and-coming singer-songwriters. Each of those albums is worth picking up. But none sparkle as much as this gem. Yesterday afternoon, I found myself searching for several hours through boxes upon boxes – no, not at the Archives, but in our attic. When we moved from the apartment to the house in early 2014, I think everyone but us was surprised at just how much stuff we had accumulated through the years, with the vast majority of it being things that most folks would have churned into the second-hand market (or trash) long ago. I’m talking books, books and more books, plus CDs, magazines and assorted odds and ends, knick-knacks of every sort. 1) “Desperado.” Linda covers the classic Eagles’ song while backed by the Eagles, who came to be after Glenn Frey and Don Henley became friends while serving in Linda’s backup band. This clip hails from 1974; the song is from her 1973 album Don’t Cry Now. 3) “Blue Bayou.” Linda’s cover of the Roy Orbison classic hails from her 1977 album, Simple Dreams. The concert was shot in Atlanta that year. 4) “I Knew You When.” From her oft-overlooked 1982 album, Get Closer. The Joe South-penned song was a hit for Billy Joe Royal in 1965. 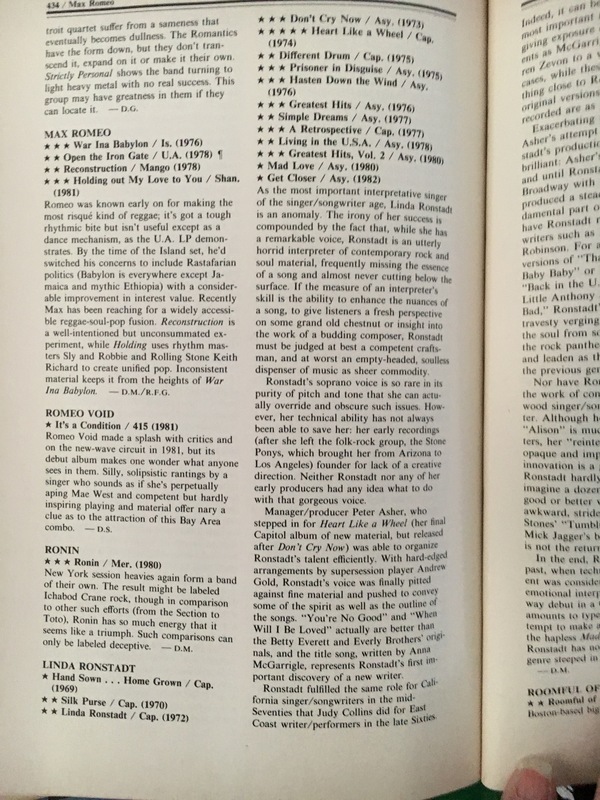 …and Linda’s delightful 1986 Tonight Show appearance promoting For Sentimental Reasons, the final part of her Nelson Riddle trilogy, and the Round Midnight box set, which collected all three of the LPs.